This is the lecture material for the design course in Interactive Media Design, semester three in winter term 12/13. Thanks to my colleague Prof. Mike Richter who shared some of his thougts with me to create this lecture. 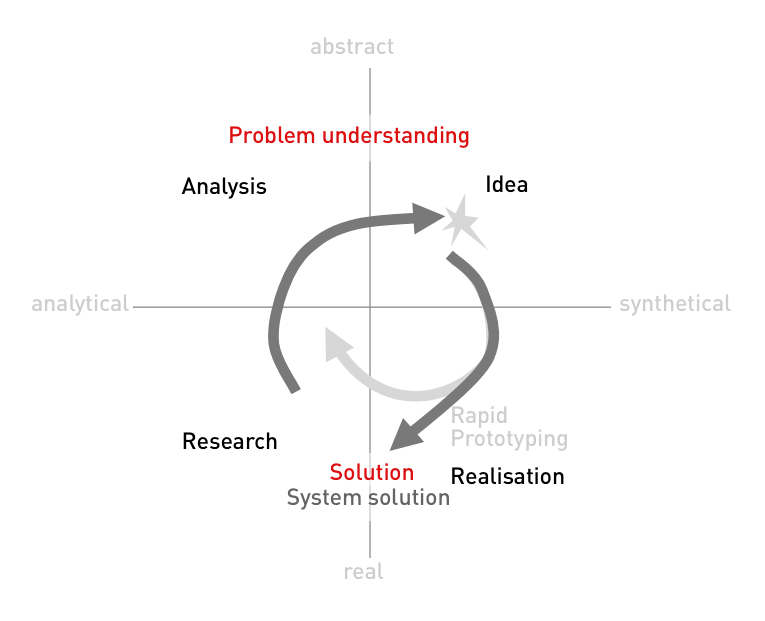 Where to start to give a first acces to a professional design process? Of course there are existing many explanations for any design process using on top of that different names. 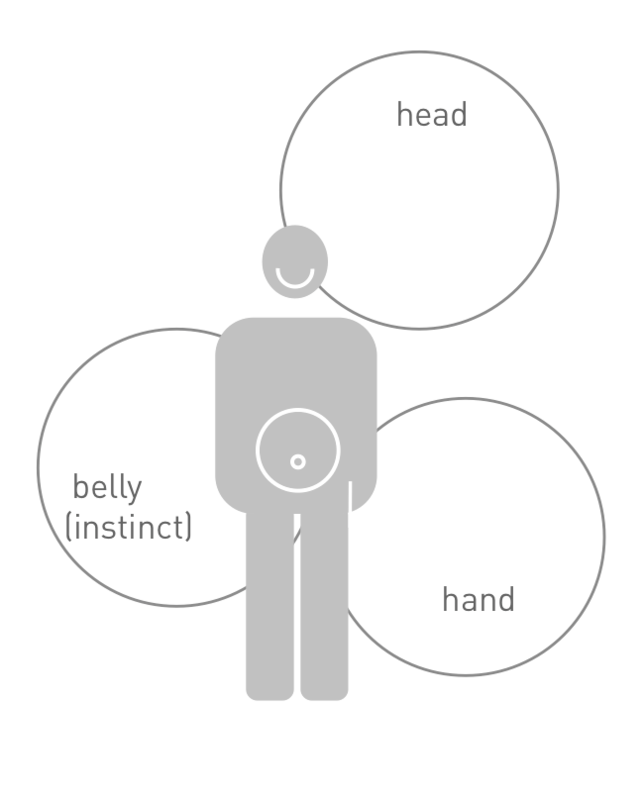 This approach is one possibility for a relaxed swinging into the focus of interactive media designers. 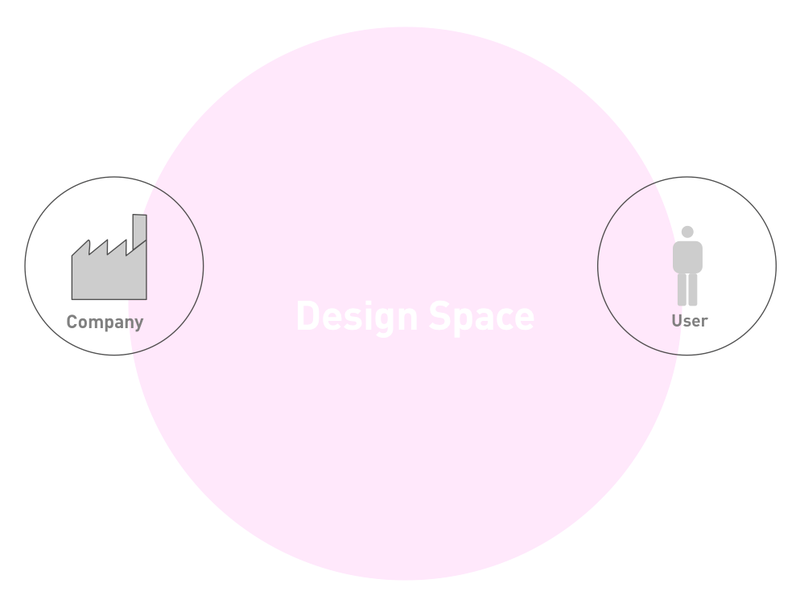 What is a design space? 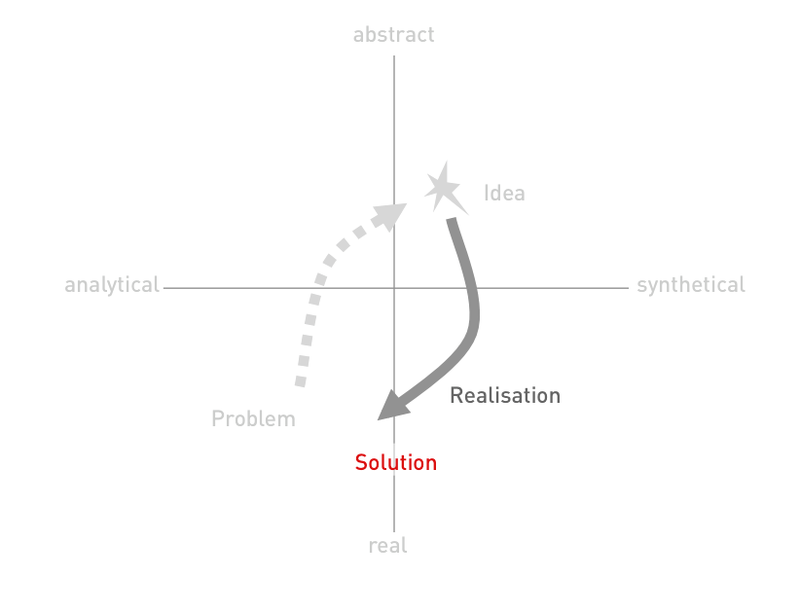 Let’s try to approach the term design by the definition of the field of action or “Design Space”. This sounds nice and in a way liberating. So – what is it? The design space or field of action of a designer can be explained as the space to be designed between a company and its customers. Both are influencing the design space as framework for design. Companies are driven by two major questions and thus setting the economical and technical framework requirements for the design space: “What is viable?” and “What is possible?”. 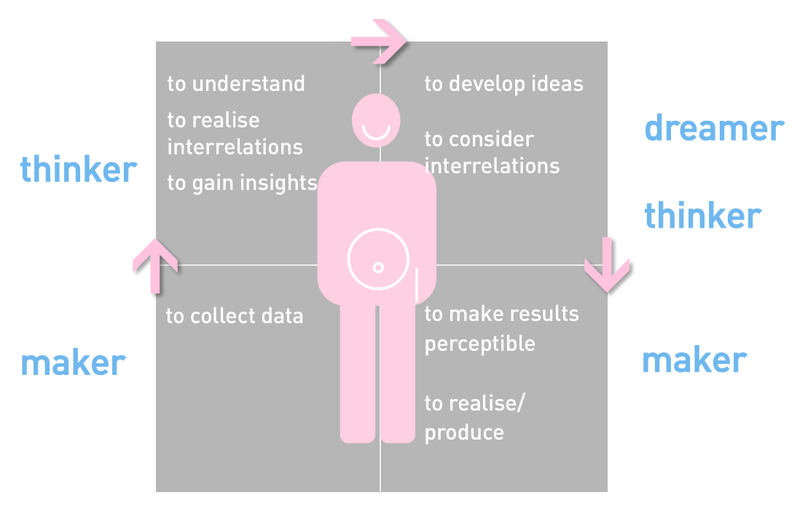 In contrast the user is motivated by its sociocultural framework accompanied by the question: “What is desirable?”. Students of “Interactive Media Design” at the University of Applied Sciences Darmstadt will by the way realize the triad of disciplines they are studying in their interdisciplinary study course – which is economy, information technology and design. If you have ever asked what is the reason of an interdisciplinary study – here’s the answer: To be able to virtuously move within the design space. 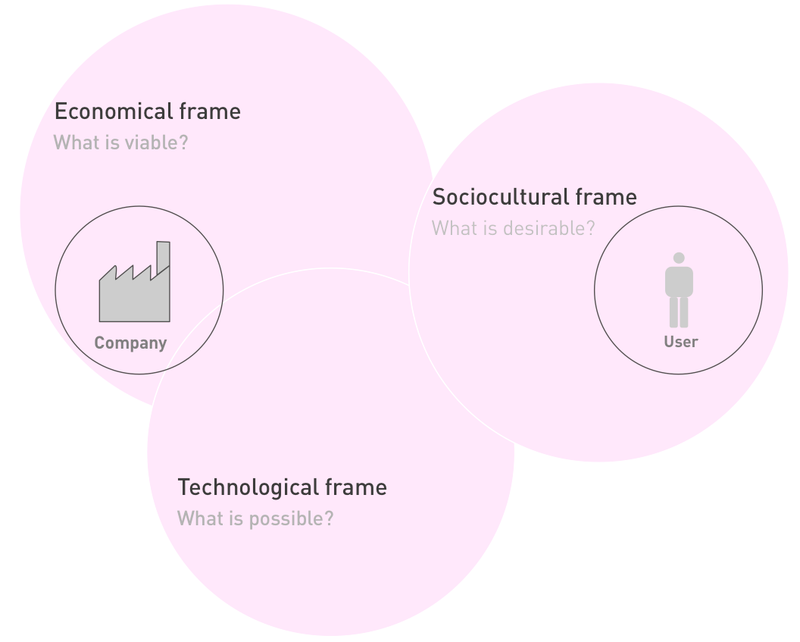 What is the role of design in the context of this three framework conditions? Companies can influence the economical and technological framework conditions. But they cannot influence the sociocultural framework conditions of the user. Here a designer can help as intermediator. In this connection we are talking about the “cross-sectional function” of design. 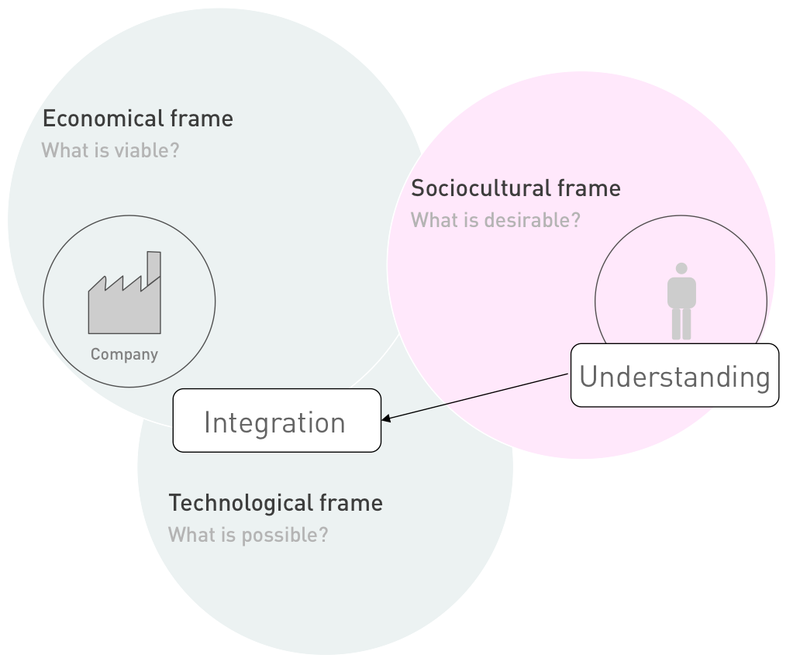 Crucial precondition for the integrative role of a designer is the understanding of the user and the underlying sociocultural framework. We can state that: Design is per se integrative. The ability to integrate is therefore a key-function of a designer. This finding becomes of particular interest in innovation processes. Here companies are often concentrated on the economical an technological framework. They often tend to thereby ignore the human factors. Acceptance and in the same time the sucess of new products and the viability of the accompanying business concept respectively are tested not before market entry. Tris trial and error principle means a serious risk for companies, because the product is developed and launched to market with significant capital expenditure before success or failure can be seen. But in fact reality draws another picture if you have a look to different job advertisements for designers. Design is a profession with both perspectives: either being a generalist or a specialist. If you like you could take the explosion of job titles in the field of interactive media as sign of the increasing complexity of the designer‘s role. This picture doesn’t make it easier to talk about design with a common understanding of a designer’s role. But well – there are stranger things have been happen than that – it just makes communication more complicated even amongst designers. What are the natural tools of a designer? A usual off-the-shelf designer creates by adressing ratio, handicraft abilities and emotion. Head – stands for the analytic thinking, understading, ratio. Whereas the designers’ anatomy might be one explanation for the different characteristics of design professions mentioned before, it should here serve as basis for the explanation of the different stages in a design process. Fortunately the designer can make use of his three key attributes during the design process. The virtuosity of a designer lies in the abilities to permanently crossing the frontiers between being a maker, a thinker and a dreamer. Here the change between thinker and dreamer is the most painful for a designer and you not rarely meet professionals specialized to only one of their anatomic elements. A problem triggers an idea that will directly lead to a „solution“. The character of this process ist fast and experimental. Risk of one-dimensional (naiv) solutions. The solution for one problem triggers three new ones. On the basis of a problem a research is done. The analysis of the research data leads to a deeper problem understanding that includes the understanding of correlations. On the basis of this problem understanding ideas are generated. They are tested by iterative rapid prototyping development, refined and realized as final solution. System-compatible and or multidimensional solutions. Risk of mental roadblocks/inner censorship. 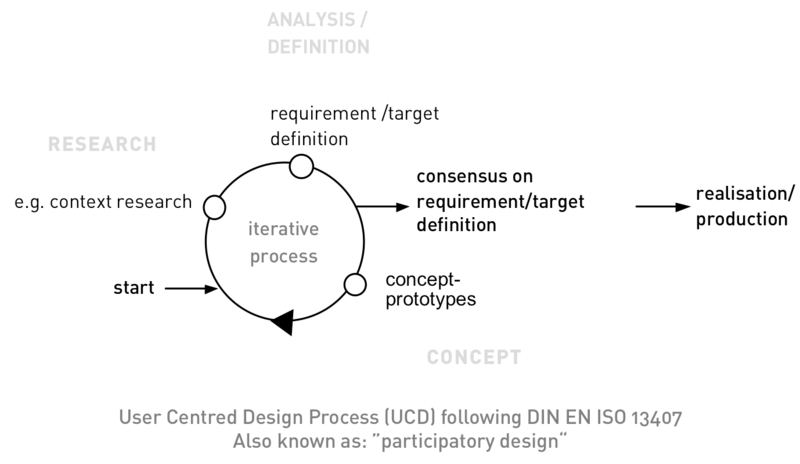 The so called User Centred Design Process (UCD), as defined by the standard DIN EN ISO 13407, can directly derived from the structured Design process.